Size: approx. 8 mm. Photo: 06/20/12, 11 pm. 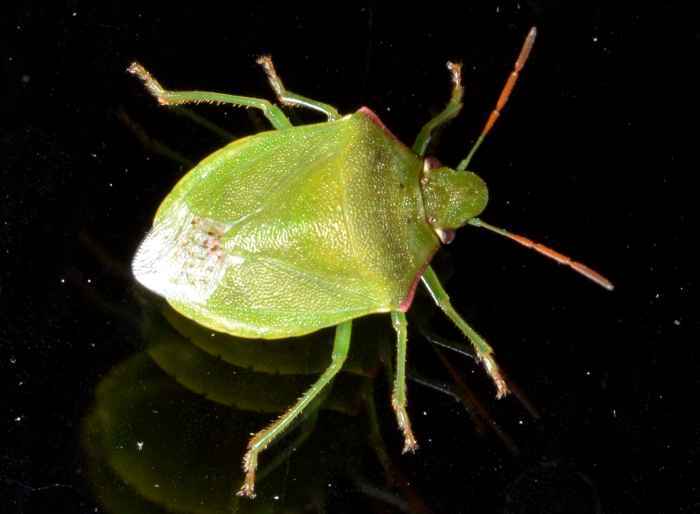 This stink bug is Thyanta sp. It reminded me of Banasa but I have been told that Banasa are "more elongated, smooth bugs w/o prominent humeri" (see link).